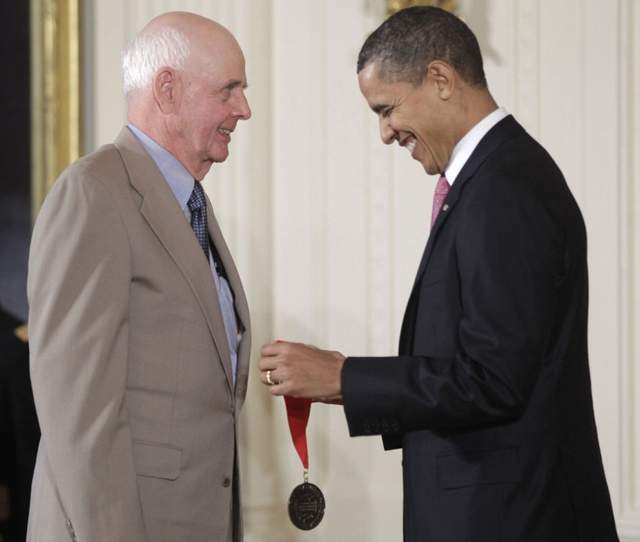 My dear friend, poet, writer, farmer, and a sterling human being, Wendell Berry, was just recognized with the 2010 National Humanities Medal. This medal could not have gone to a better person. But do not take my word for it, please read Wendell's books, including the latest one on economics. Here is the forward to this book, "What Matters?" by Herman Daly, one of a handful of economists, who actually know what they are talking about without hiding behind gobbledygook, senseless non-physical equations, and meaningless quasi-religious ideology.